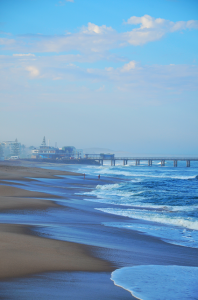 Swakopmund, a smallish German colonial town on the edge of the Namib Desert is a popular holiday destination. Khaki clad Germans are as ubiquitous as the sand and chatter away in every restaurant and pub in town. Germans don’t skimp when it comes to exploring Namibia. Sand meets sea at Swakopmund; Photo; Gero Lilleike. 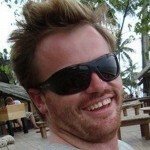 Conquering Unimogs rumble around the streets like war tanks and cameras fire away through dusty windows. Beer flows freely here and the cold sea offers respite from the pelting desert heat that never loosens its grip. The town is a gateway to the vast space beyond. I stayed at the Pebble Stone House Bed & Breakfast, which offered comfortable beds and a tasty breakfast. 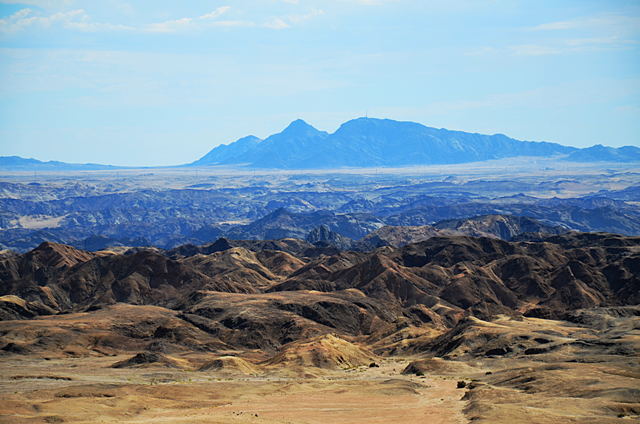 A few kilometers out of town, I entered the Namib-Naukluft Park in search of the famous Welwitschia plains. Along the way, I found the ‘Moon Landscape (pictured above), a barren, eerie Damara Granite landscape that formed some 460-million years ago. Barren and devoid of life, it serves as a reminder of how harsh and unforgiving this place can be. I pushed on and crossed the dry Swakop River bed on route to the Welwitschia plains. With my petrol running low, I pulled over to have a closer look at the remarkable Welwitschia Mirabilis. The plant is endemic to Namibia and southern Angola, found only in the ‘fog belt’ stretching roughly 1000km along the west coast from the Kuiseb River south of Walvis Bay to the Nicolau River in Angola. Most Welwitschia Mirabilis specimens are found within 80km of the coast and comprise a large tap root and a short hardy stem that produces two strap-like leaves that grow to lengths that can exceed three metres. The plant survives largely on dew captured by the leaves and channeled into the ground to be absorbed by the tap root. The Welwitschia Mirabilis is perfectly adapted for life in the desert and this ancient plant can live for hundreds if not thousands of years. 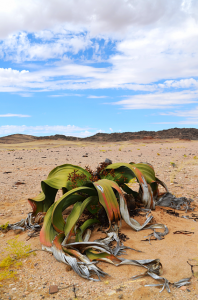 There is no shortage of these plants on the Welwitschia plains, but tread carefully as they are endangered and well protected in Namibia. The Welwitschia Mirabilis is the ultimate survivor. Photo Gero Lilleike. I returned to Swakopmund to drink beer and plot my next adventure. 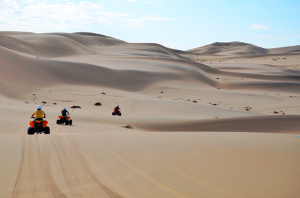 I felt like experiencing the desert on a more intimate level, booked a two-hour quad bike tour and set out into the sandy abyss with my guide, Gideon, a friendly Namibian who knew his way around these desolate dunes. We stopped twice to let the engines cool and soak in the spectacular scenery. It really couldn’t get any better than this. Barren and desolate as this place might be, it doesn’t disappoint and there is always something to see and do here.